Noah began looking out of state for a summer dance program when he was fifteen after receiving a very direct signal that it was time. “I was approached at YAGP (Youth America Grand Prix) and given the offer and knew that people were beginning to look at me and I needed to be seen by more people,” he says. Shelly Power, Houston Ballet Academy Director (who will begin her new role as Artistic Director and CEO of Prix de Lausanne this summer), thinks students should experience a variety of summer programs. Divya has been auditioning for summer dance programs since she was 12 but didn’t feel ready to leave home for the summer until she was 13 years old. Divya reminds younger students that it’s okay to be nervous. Divya chose Houston Ballet’s program as the right one for her from the very beginning. To make that decision she broke the search process into steps, starting with figuring out what she was really looking for in a summer program. Defining your goals and desires is indeed the first, perhaps most difficult step of the search process and, according to Power, much depends on the level of dedication the student has, the number of years in training, prior attendance, long-term training goals, desire to perform, one’s budget, and more. As you narrow your choices, these goals must become more specific in order to find the best fit. How ready (physically and mentally) am I to commit to the length of the program? Houston Ballet offers a three week course in the summer for level 5’s to ease the adjustment for younger students. They also have several resources available to support students, including a nutritionist, athletic/artistic trainers, psychologist, and trained chaperones. How well have I researched the school and/or company where I plan to spend my summer? To help summer program students immediately get to know Houston Ballet, they begin with a performance from the company, followed by a performance by the second company, Houston Ballet II. But long before you arrive you should thoroughly research all of or your choices via the web and other resources. This is the time to have conversations with your home school director in order to “see” yourself more clearly and more clearly define your goals. Am I interested in a year round program in the future with this school I am choosing? Is that important to me? Am I interested in performing and does the program offer a performance opportunity? Do I want a lengthy program where I will see the most change in my technique? Is the training in line with what I am looking for? 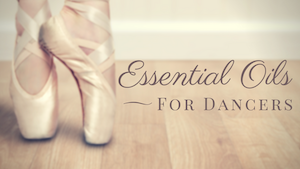 Will I get a variety of training such as pas de deux, variations, pointe class, strengthening, modern, contemporary? After Divya and Noah decided what they wanted from a program they researched programs online, talked to their teachers, and talked to students who attended those programs. Noah, too, turned to his teachers and found their knowledge helpful. Your family’s thoughts must be taken into consideration as well. Budgeting, according to Shelly Power, is always a concern for students and their families. She advises that students consider, but not base their decisions solely, on scholarships. “The student should consider where they want to train first and then decide, if possible, on the offers any schools might make,” she explains. Tip: If you are offered a scholarship, respectfully respond on or before the deadlines to improve a school’s ability to manage enrollment, housing, and wait-lists. Safety was a concern for Divya’s parents. Most company schools, in addition to providing excellent technical and artistic training and giving students first hand experiences with repertoire that reflects what the company performs, also offer city living. This may be a new experience for many students, therefore, it is natural for students and their parents to want it to be a positive one. Power suggests learning about the city which is home to the intensive you are considering and to ask yourself how you will handle living there. “Experiencing how the summer is handled and prepared will give the student an idea of what the year round program will be like,” she reminds. Your family knows you well and can help you compare programs to find the right one. Houston Ballet II Ballet Mistress, Sabrina Lenzi instructing Divya during the 2015 Houston Ballet Summer Intensive Program. If you are struggling to decide between programs, Noah suggests focusing on your goals. “Choose the one you know you would get the most out of, whether that be the training, or potential job offers,” he says. Divya adds that you should also trust your instincts in the decision process. She remembers loving the Houston Ballet intensive audition class she attended in Chicago. Houston Ballet sends teachers that will be teaching in the summer on audition tour and administrative staff are available for questions on the audition site. In this way, the audition process can provide many clues about what to expect from the program. Tip: During the audition process, keep the lines of communication open. Schools are often willing to communicate and find solutions if there are concerns about overlapping deadlines or program dates. Once you’ve reached a decision, there’s still work and preparation to do! If you’ve accepted an offer, stand by your commitment and be sure to read carefully and follow the school’s policies before and during attendance. In addition to coping skills, Power says that successful intensive students are also physically prepared before coming to the summer program as well as interested in improving their technique. They also keep that perspective throughout, always asking themselves what they need to do to get the most out of the program. Upon making her decision, Divya felt glad to know that a fellow dance classmate would also be attending and was excited about the myriad of classes on the Houston Ballet Academy’s schedule as well as the intensity of the workload. Noah appreciates that the Houston Ballet summer intensive’s class offerings are well-rounded. Houston Ballet Academy’s six-week program also provides performance opportunities, events that allows students to get to know the city of Houston, and a great dormitory setting. Lunches are available on site and there is an athletic trainer available for taping, maintenance, and support. Divya is excited to go to class every day at Houston Ballet Academy but she realizes that one program can’t be right for everyone. Houston Ballet Academy has provided the highest quality ballet training to aspiring dancers since 1955. During its summer intensive program students are completely immersed in dance for three or six weeks and obtain training both enriches and complements their previous dance education. Students dance for six to eight hours a day, six days per week, learning from world-class instructors and Houston Ballet company members. Audition Tour dates and locations can be found on Houston Ballet Academy’s Audition Tour Page. 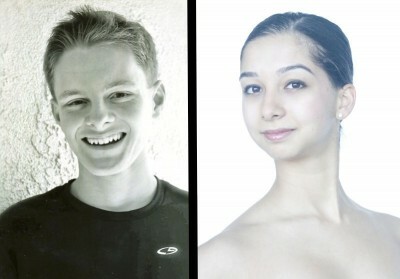 For more upcoming summer program auditions, search the audition listings at SmarterDancer.com. I’m looking for a summer dance camp to enroll our daughter in so this article had a lot of great information. We’ll be looking into different programs and comparing what they have to offer. Thanks for the info! Looking for a summer course for a dancer aged 15 in Sep. 18. Interested in 3-4 weeks training. At home dancing 6 days a week. Coming from out of the states. Is registration possible yet by video?